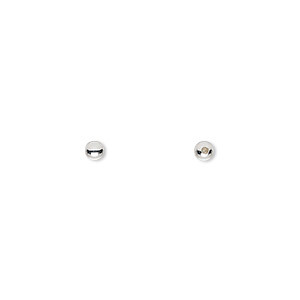 Bead end, stainless steel, 3mm half-drilled round, for use with memory wire. Sold per pkg of 144 (1 gross). 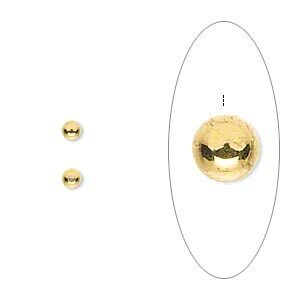 Item Number: H20-5549FY Have a question about this item? The final touch to memory wire designs. Bead ends have a gunmetal shine that adds a fashionable finish to designs. 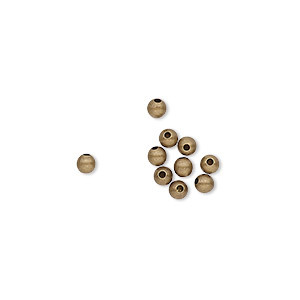 Stainless steel bead ends resist rust and tarnish. 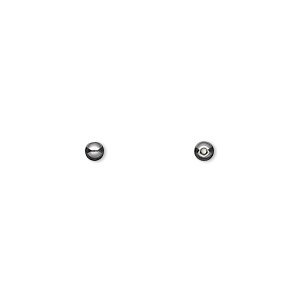 The 3mm rounds have a tapered, 0.8mm hole. Just add a dab of glue and attach to the wire end. 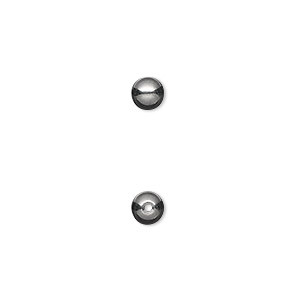 Bead end, stainless steel, 3mm half-drilled round, for use with memory wire. Sold per pkg of 10. 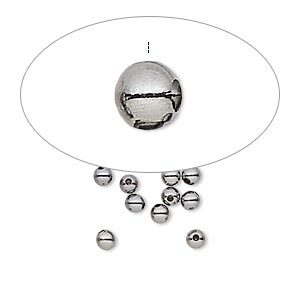 Bead end, stainless steel, 5mm half-drilled round, for use with memory wire. Sold per pkg of 10.